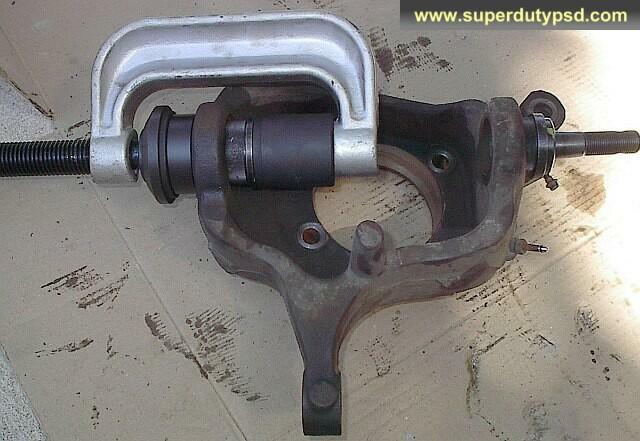 I replaced the ball joints on my four wheel drive 2000 Ford F250 Super Duty. I did the job with the help of Ford factory manuals and several other manuals, as well as other Internet resources. I decided to synthesize what had gleaned from the manuals, and from the practical experience of doing the job into these instructions, which show how to do the job in 47 concise steps. I believe the procedure is the same for model years 1999-2004. 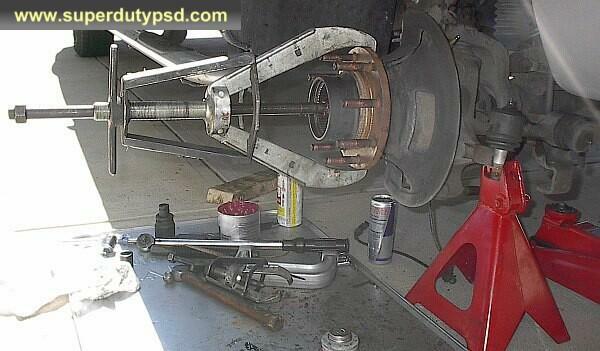 The procedure is exactly the same for ball joint replacement on Ford F350 trucks. Remember though, that I am not a mechanic, this is just how I did it. 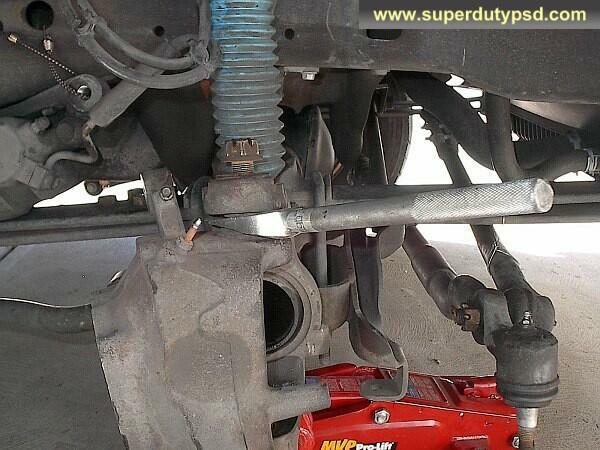 Before beginning this project, thoroughly read the instructions that came with your replacement ball joints. The various ball joint manufacturers have different requirements, pay particular attention to torque values and the torquing sequence. This write-up is not meant to supplant the vehicle or ball joint manufacturer's recommended procedures for replacing your ball joints. 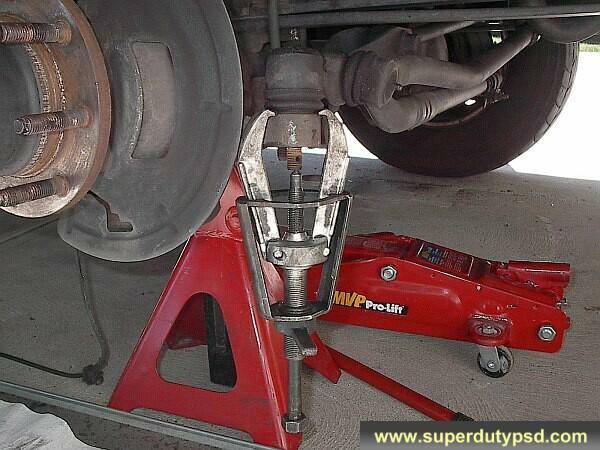 What does it cost to have the ball joints replaced? 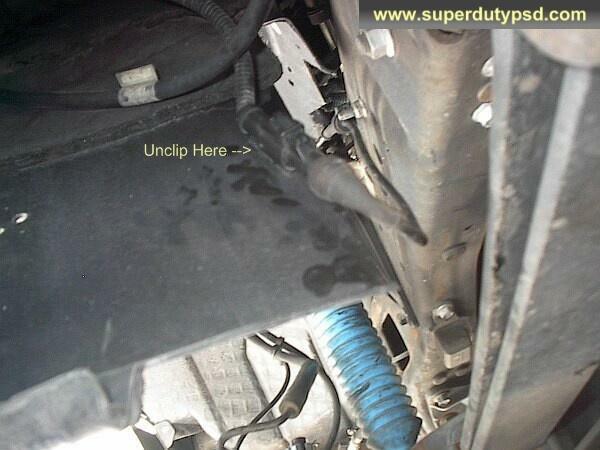 It runs from $800.00 on the low side up to about $1500.00 if done by a repair shop or dealer. If you do it yourself it will cost about $300.00. 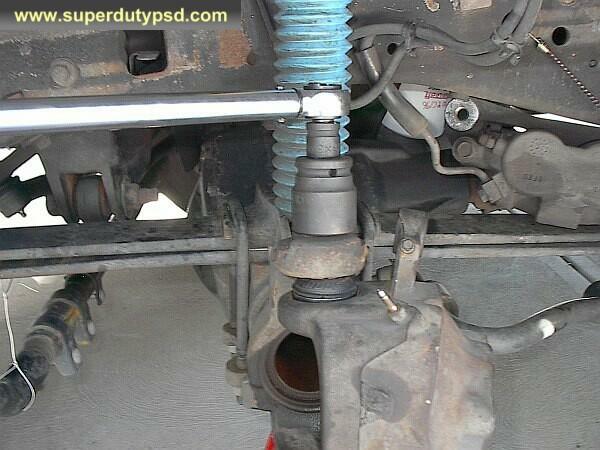 How long does it take to replace the ball joints? This obviously varies from truck to truck. If you do it yourself, I would plan on 8 hours for the first side and 4-8 hours for the second. You learn a lot on the first side. I hear a lot of do-it-yourselfers claim to do both sides in 2 or 3 hours; I don't believe it. But then, I didn't have this tutorial. The parts I used are listed below. 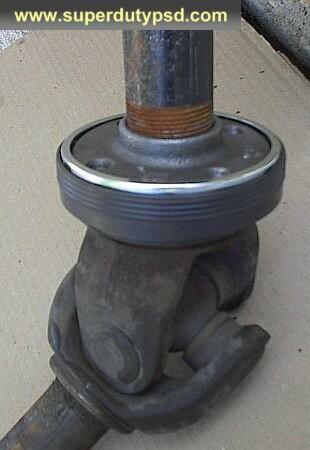 I went with Moog ball joints because, unlike the Ford OEM ball joints, the Moog's can be greased. 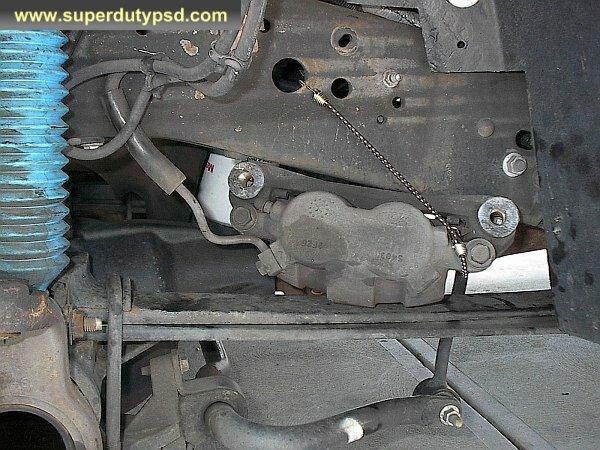 Click here to see the instructions that came with the Moog ball joints in this write-up. Note that I sprayed everything with PB Blaster the night before and it seemed to help. 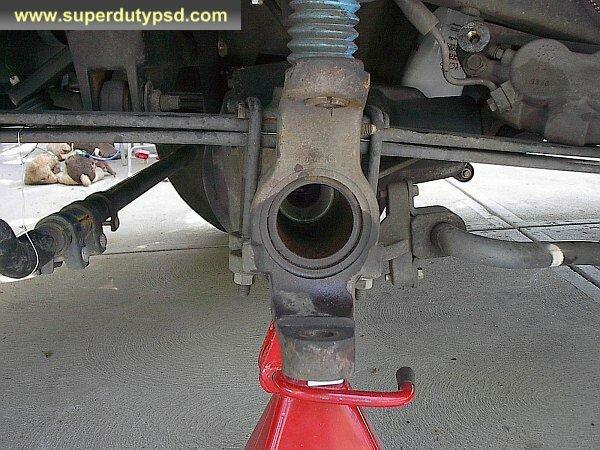 1) Raise and support the front of the truck according to manufacturer's recommendations using proper jack stands. 2) Remove the front wheels. 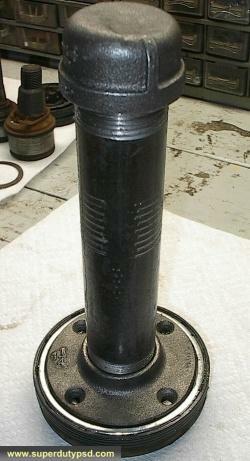 3) Remove the rubber ESOF vacuum line from fitting on the knuckle. It just pulls off. It is shown in the photo below. 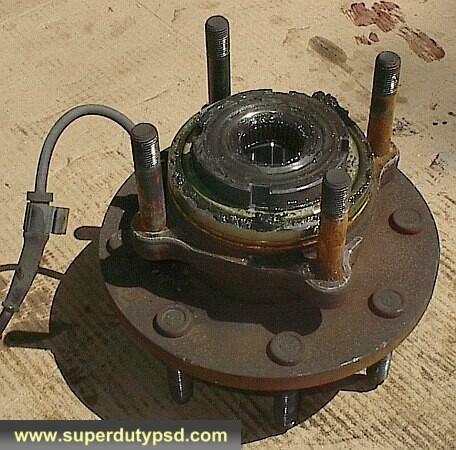 8) Remove the brake rotor. On one side, I had quite a bit of trouble, but it will come off. I ended up tapping on it pretty good with a hammer on a block of wood. 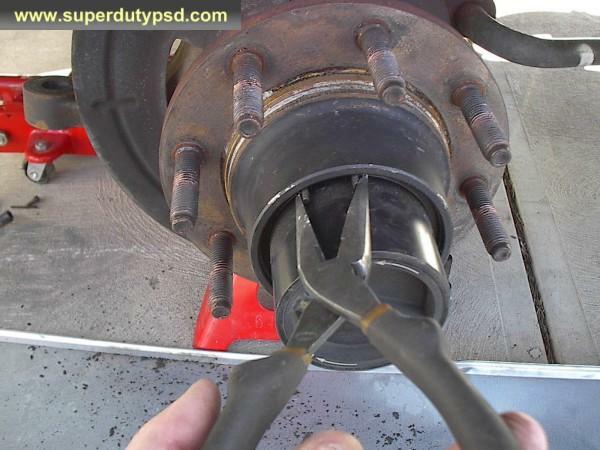 20) Remove the cotter pin from the upper ball joint castellated nut and loosen both the upper (1 1/8 socket) and lower (1 5/16 socket) nuts. 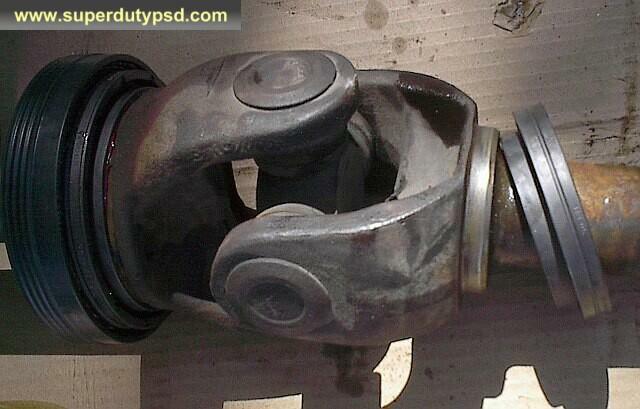 Leave the nuts on a few threads to catch the knuckle when the ball joints break free of the axle. 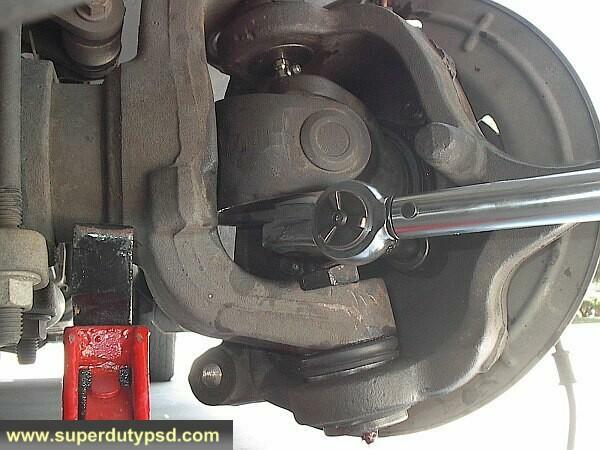 23) Now for the fun part; removing the ball joints from the knuckle. 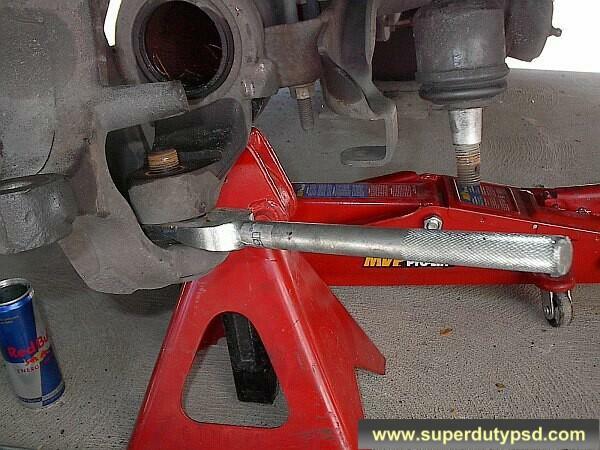 I found it easier to remove the lower ball joint first. 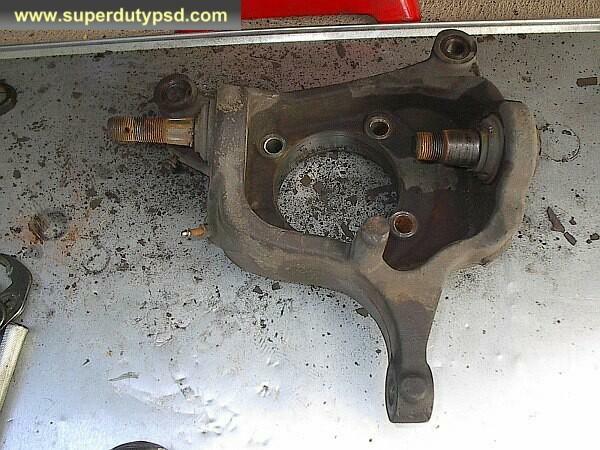 First, remove the snap ring, then either beat it out with a hammer or use a ball joint press. 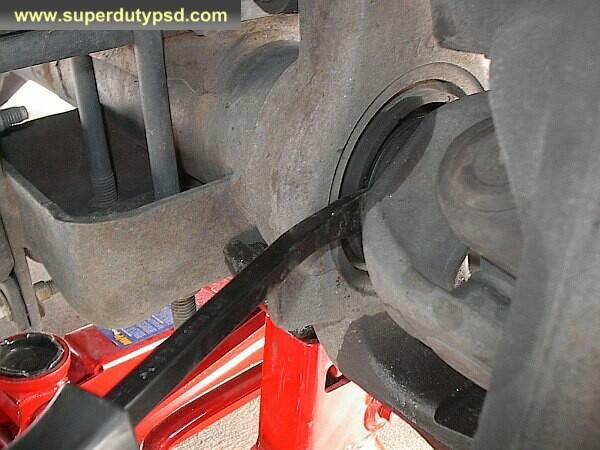 25) Now that the ball joints are out, clean the surface where the new ball joints will seat. 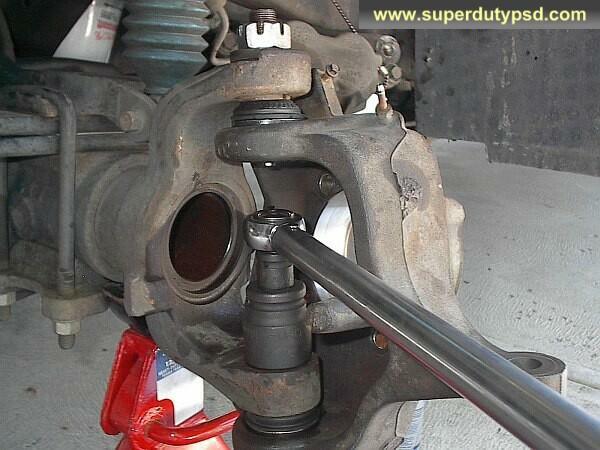 27) Put the snap ring on the new lower ball joint. 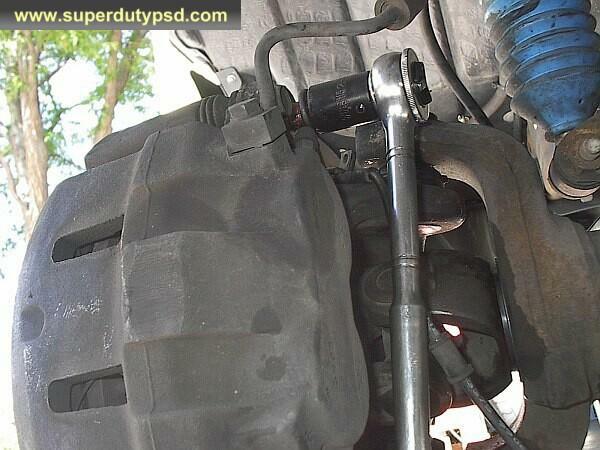 28) Position the knuckle with the new ball joints onto the housing again and put the lower ball joint nut on. 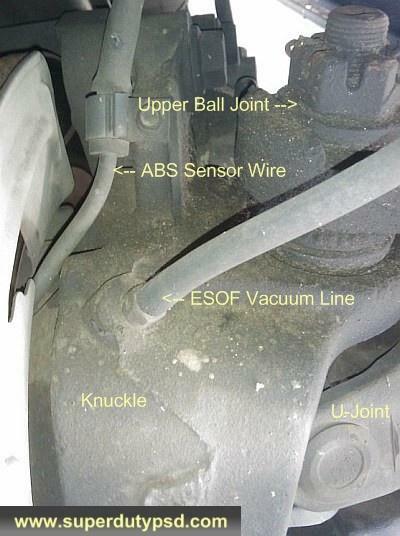 The torque and sequence required may be different depending on the manufacturer of the ball joint, check the documentation that came with the ball joint! The value I give here is per the Ford manual for OEM ball joints, which happen to be the same as the Moog joints used for this article. 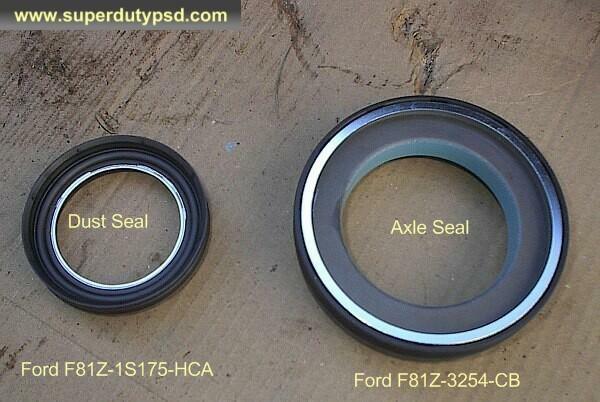 The torque required may be different depending on the manufacturer of the ball joint, check the documentation that came with the ball joint. 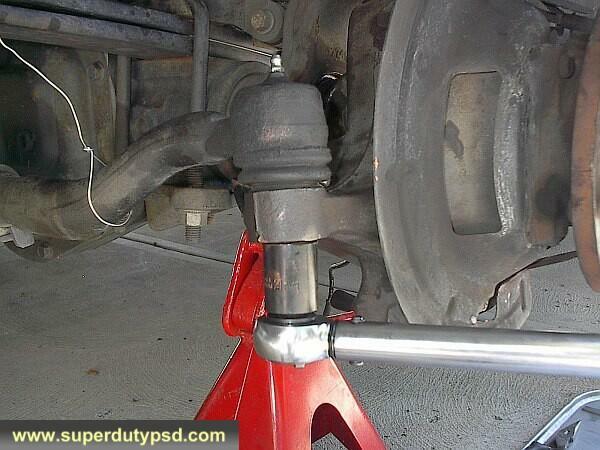 The value I give here is per the Ford manual and happens to be the same as the ball joints I installed. 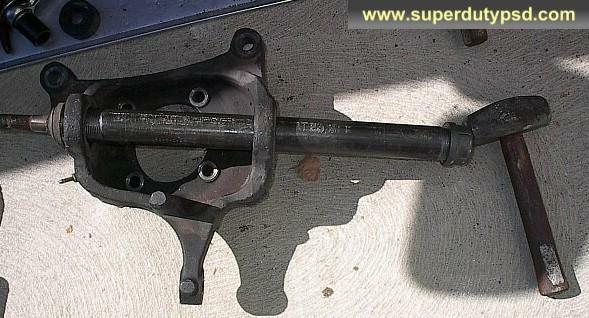 The torque value I give here is per the Ford manual. 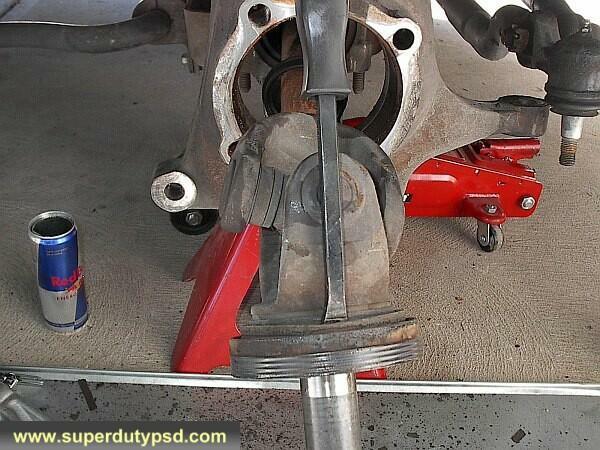 Use the torque value in the instructions that came with your ball joints. 32) At this point, I cleaned the inside of the knuckle with sand cloth and put a film of grease in it. 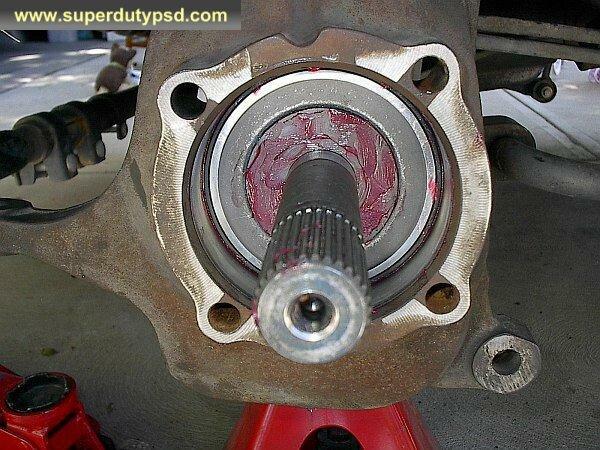 40) Slide the wheel bearing/hub assembly back into the knuckle and cross tighten the four nuts to 133 lb/ft. 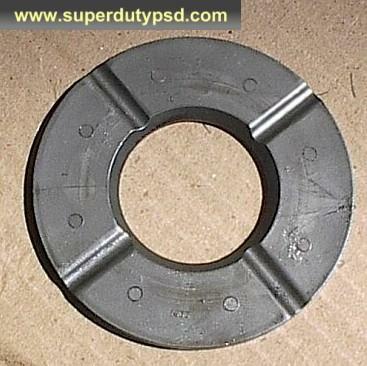 42) Check the condition of the outer hub o-ring and replace if necessary. A light coating of grease will help it install and seal. 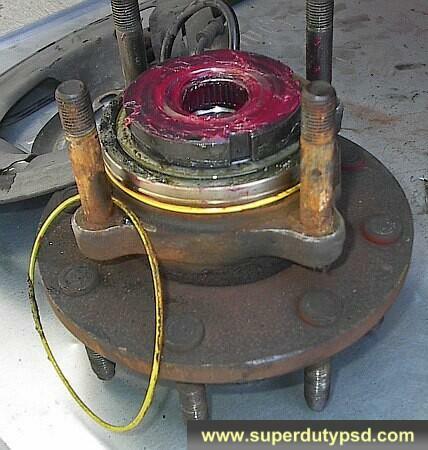 Put the outer hub back in place and put the retaining ring back on. 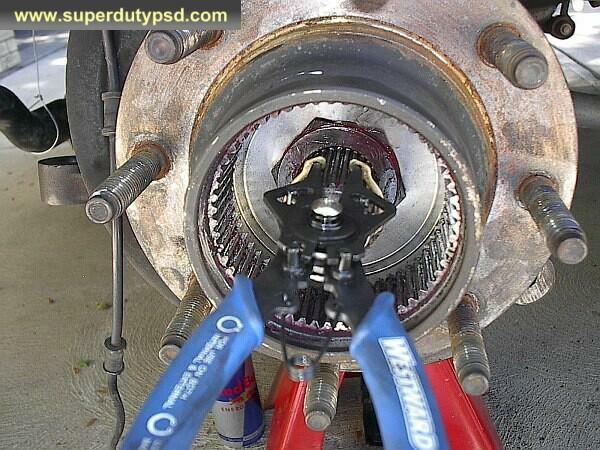 43) Put the disc brake rotor back on. Put one lug nut on to hold it in place. 45) Put the ABS sensor and ESOF vacuum line back on. 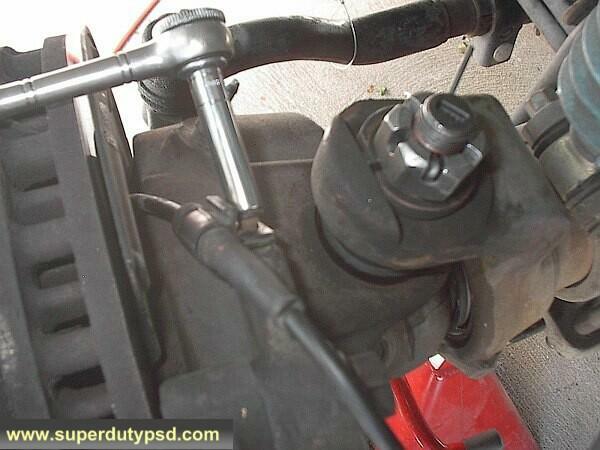 Where the ABS wire attaches to the knuckle tighten the bolt (8mm socket) to 13 lb/ft. 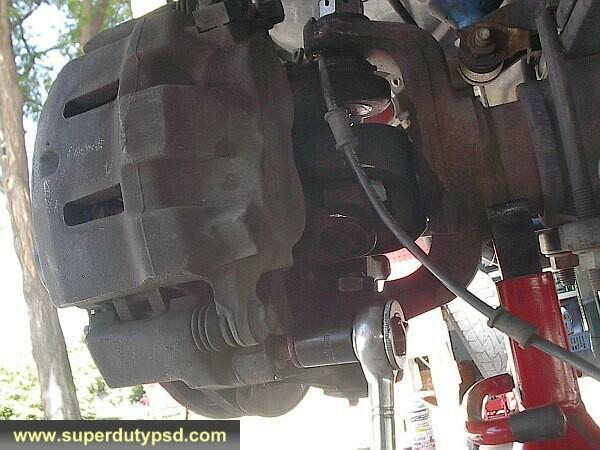 46) Reattach the tie rod end, torque the castellated nut to 52 lb/ft, and put the cotter pin back in place. Again, if the hole does not line up, tighten a little more until it does. Do not loosen the nut to align the hole. Put the wheels back on. Spin the tire to make sure everything spins okay. Spin the tires with the hubs locked too. 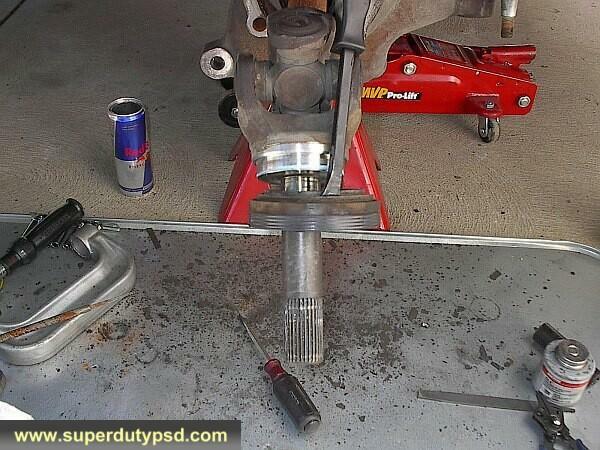 This will cause the axles to spin. Check and double check everything. 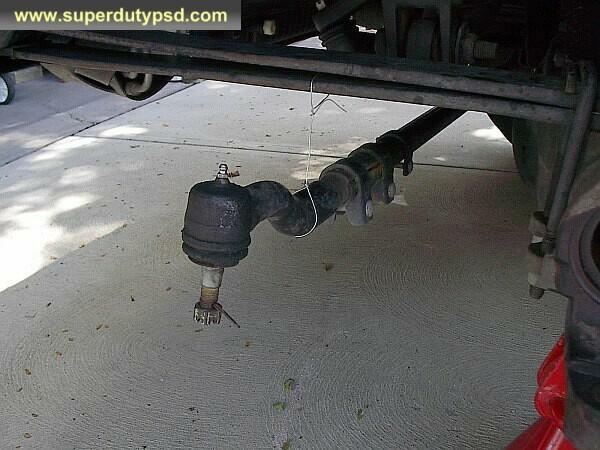 Take it easy when you first try to drive your truck given that the brakes were off. Make sure everything is working. Now you're done and you probably save a bit of money!